SEOUL, South Korea--(BUSINESS WIRE)--Samsung Electronics Co., Ltd., a world leader in advanced semiconductor technology, today introduced a new 16-megapixel (Mp) ISOCELL Slim 3P9 image sensor along with a Plug and Play solution, a pre-optimized turnkey camera module made up of an ISOCELL image sensor and preferred partner components to help expedite time-to-market. The Samsung ISOCELL Slim 3P9 is a 1.0μm 16Mp image sensor with Tetracell technology that allows bright and vivid pictures in today’s sleekly designed smartphones. With Tetracell, a technology that merges four neighboring pixels, the 3P9 can function as a 2.0μm image sensor for front-facing cameras that can take brighter pictures in low-lit environments. For faster auto-focusing, the 3P9 adopted an advanced phase detection auto-focus (PDAF) with doubled auto-focus agent density than that of conventional PDAF sensors. In addition, the sensor significantly stabilizes pictures and videos taken while in motion with a gyro-synchronizer that syncs frame exposure time from the sensor with movement data from the device’s gyroscope. Once the data is synced, the mobile processor can simply adjust the frames based on movement rather than rigorously analyzing each frame to detect and compensate for angular movement. For easier camera optimization while accelerating time-to-market, Samsung also offers an ISOCELL Plug and Play solution for the 3P9 in a rear camera module. Optimizing a camera module, made up of parts from different providers, with the mobile processor can be an arduous and lengthy task for smartphone makers. 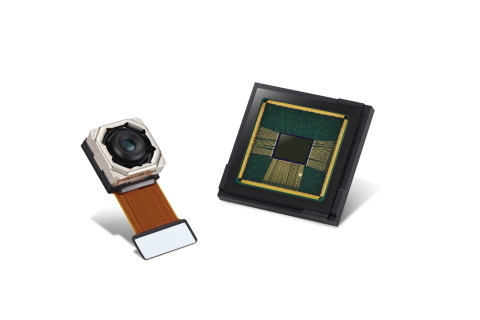 Samsung’s ISOCELL Plug and Play solution simplifies this process by offering a turnkey ISOCELL sensor module tuned for Valued Camera eXperience (VCX)-grade image quality, along with other components, including lenses and actuators from preferred partners. Since the optimization and reliability tests are done beforehand at the module-level rather than on the sensor alone, manufacturers can simply plug the camera module onto their device, saving up to four months of development time. The Samsung ISOCELL Slim 3P9 with Plug and Play solution is currently available.